MINNESOTA: Democrat Introduces "Ex-Gay" Torture Ban That Could Put Ladybird Bachmann Out Of Business - Joe.My.God. Minnesota yesterday became the third state this week to see a bill that bans the “ex-gay” torture of LGBT youth. Ladybird Bachmann, the beard of Crazy Eyes, runs two such clinics in the state, although they don’t appear to expressly target minors. Minneapolis Rep. Susan Allen (DFL-62B) has introduced a bill that would prohibit licensed therapists from trying turn gay youth straight. “If you look at over the period of the last five years, they’ve sort of changed the way they advertise their services,” Allen told Capitol Report host Julie Bartkey. “It’s not as obvious anymore that some of the Christian, sort of, based mental health services that offer this type of therapy. It’s just sort of given that it’s part of their family therapy. So it is prevalent, and it is a nationwide problem.” Minnesota’s best known conversion therapy practitioner is Marcus Bachmann, the husband of 6th District Congresswoman Rep. Michele Bachmann. 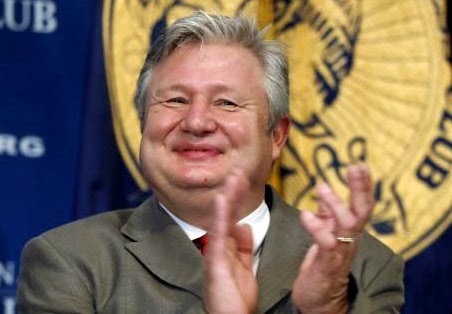 In 2011, Marcus Bachmann acknowledged that therapists in his Christian counseling business will offer conversion therapy to those who want it—although he said the practice, which was renamed Counseling Care in December, is not focused on converting gays to heterosexuality. Allen explains her bill in the clip below. RELATED: Similar bills were introduced this week in Maryland and New York. Bans are already in place in New Jersey and California and both have faced multiple court challenges from the Liberty Counsel.